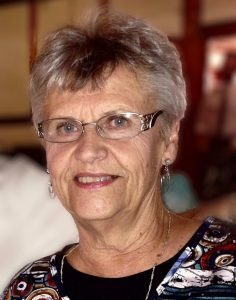 Elaine Heavican, 81, of Schuyler, died Friday, October 5, 2018, at Brookstone Acres in Columbus. 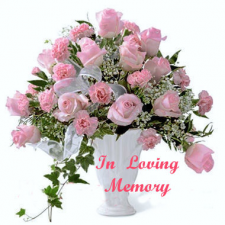 Mass of Christian Burial Saturday, October 13, 2018 10:30 A.M.
Elaine Heavican was born September 30, 1937, in Clarkson, Nebraska to William and Vlasta (Glodowski) Houfek. She graduated from Clarkson High School and worked at Mutual of Omaha. On November 17, 1956, she married Bernard Heavican at St. Mary's Catholic Church in Schuyler. They lived in Schuyler where Elaine raised their five children and babysat for others as well. She later worked for 15 years at Cargill Meat Solutions and then cooked at the Schuyler Grade School. She was a member of St. Augustine's Catholic Church and the Little Flower Altar Society. Elaine loved cooking, spending time with family and especially loved to follow the grandkids in all their activities. Elaine is survived by her husband, Bernard of Schuyler, one daughter, Shelly Whisenant, Schuyler, four sons; Tim (Kaye) Heavican and Todd (Cindy) Heavican, Schuyler, Terry (Pat) Heavican of Wylie, Texas and Patrick Heavican of Omaha, two brothers; William Houfek and Ron (Julie) Houfek, of Schuyler, brother-in-law Anthony Ferrari, Stockton, California, daughter-in-law Amy Heavican of Omaha, 13 grandchildren; Tanya (Matt) Prochaska, Drew Whisenant, Brent (Stacy) Heavican, Cole (Tosha) Heavican, Tara (Dave) Chamberlin, Jeff (Jill) Kruger, Tami (Charlie) Vaughan, Jackie (Ryan) Tuff, Colin, Joey and Nathan Heavican, Tayla Heavican and Cailey (Zach) Noonan, 15 great-grandchildren; JaeLeigh and Braxton Prochaska, Karissa, Carter and Treyton Heavican, Zebediah and Luella Heavican, Brielle Chamberlin, Madison, Tyler and Lanie Kruger, Kylee and Brooks Vaughan and Kristin and Lincoln Tuff, and several nieces and nephews. She was preceded in death by her parents, William and Vlasta Houfek, parents-in-law Mart and Vera Heavican and sister-in-law, Joan Ferrari.